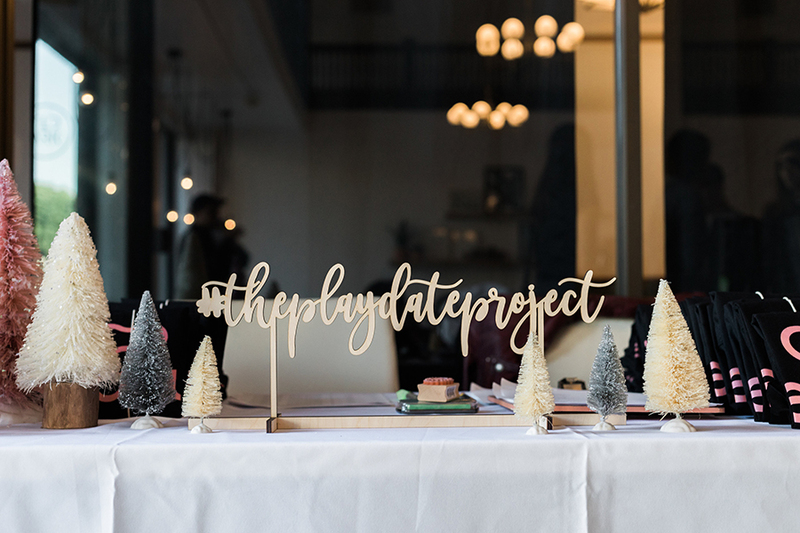 I’m so excited to finally share with you details from our recent Playdate Project! 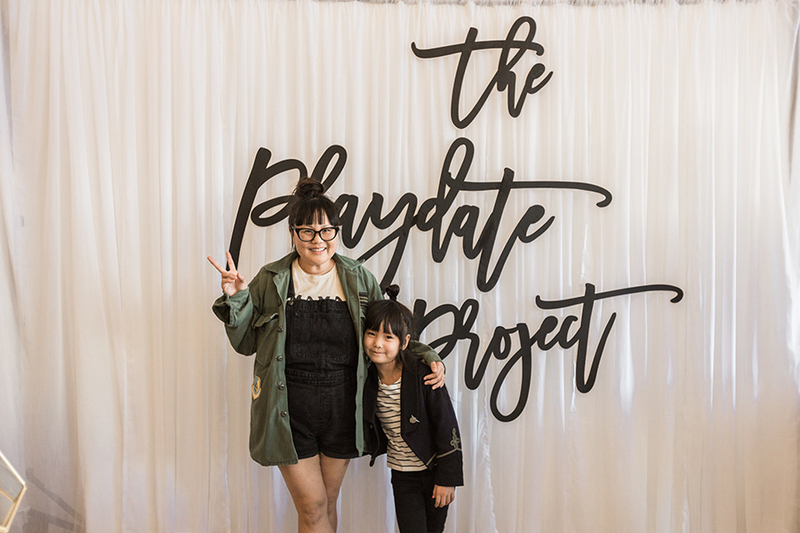 Thanks to our generous donors and friends, we were able to launch our first ever Playdate Project last year right before the winter holidays. 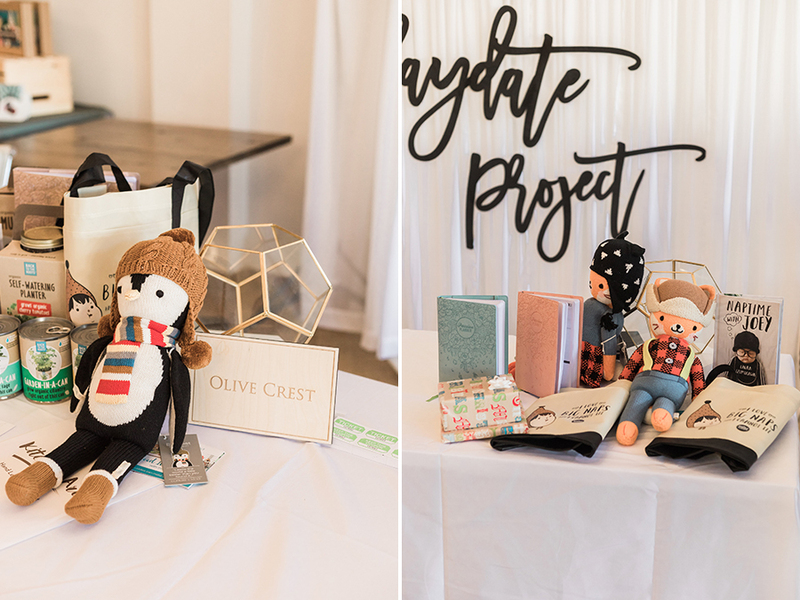 The idea behind the Playdate Project came from me wanting to host a fun playdate event for families to come and enjoy themselves and relax at the same time giving back to a local organization, in this case we wanted to highlight Olive Crest an non-profit org that is dedicated to preventing child abuse, to treating and educating at-risk children, and to preserving the family. I first heard about them from a friend who said they were in process of adopting a child through Olive Crest. 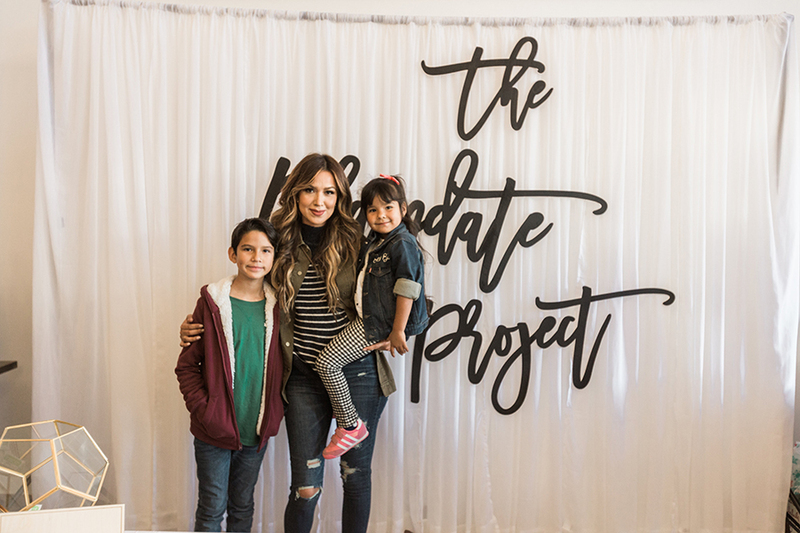 As I learned more about them, I found out that they have served our 100,000 at-risk children and families and serves over 1000 in Orange County, CA alone. 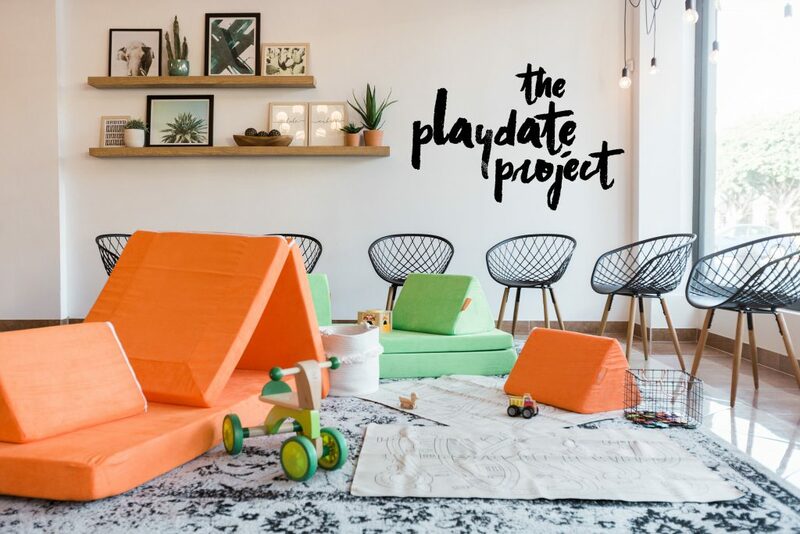 Because they are run through the support of community donors and volunteers, we decided to dedicate this first Playdate Project to Olive Crest and give 100% of all Playdate Project ticket sales towards them. 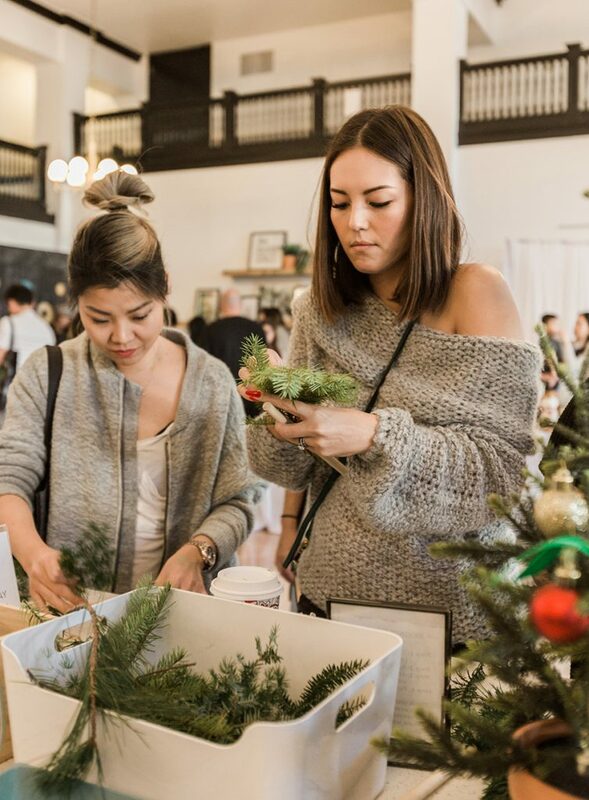 We held it at FLDWRK in Fullerton, CA on December 17, 2017. Our friend Kyle from Olive Crest came to receive all the donated toys that our guests generously donated as well and also answer any questions about Olive Crest. 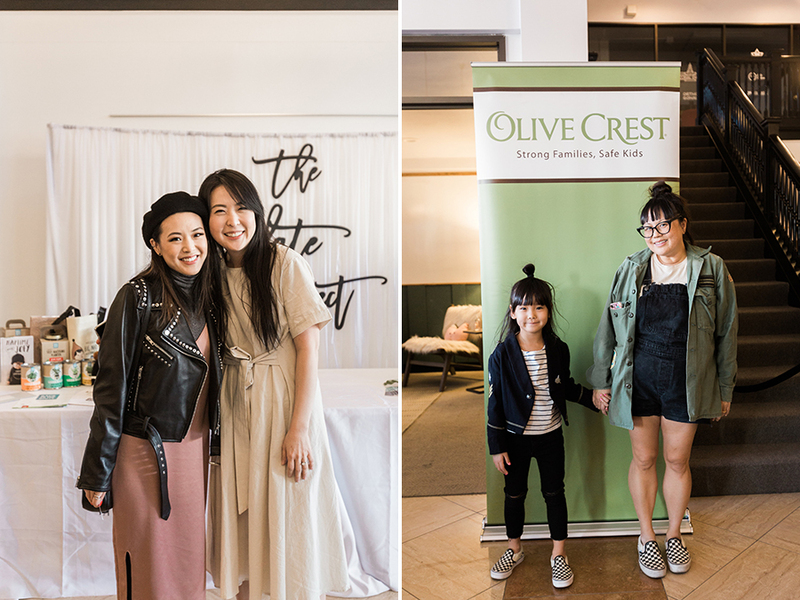 If you are interested in learning more about donating towards Olive Crest or even foster/adopt through them, go to their website at olivecrest.org. 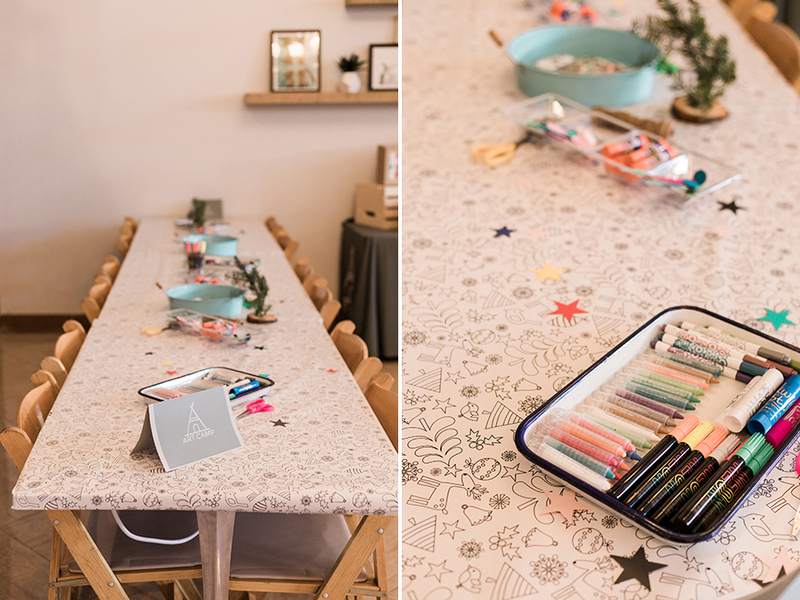 My sweet and talented friends Amy of White Blossom Events & Hanna of Echo Floral helped me coordinate this event and without them, this wouldn’t have happened! Thank you!! 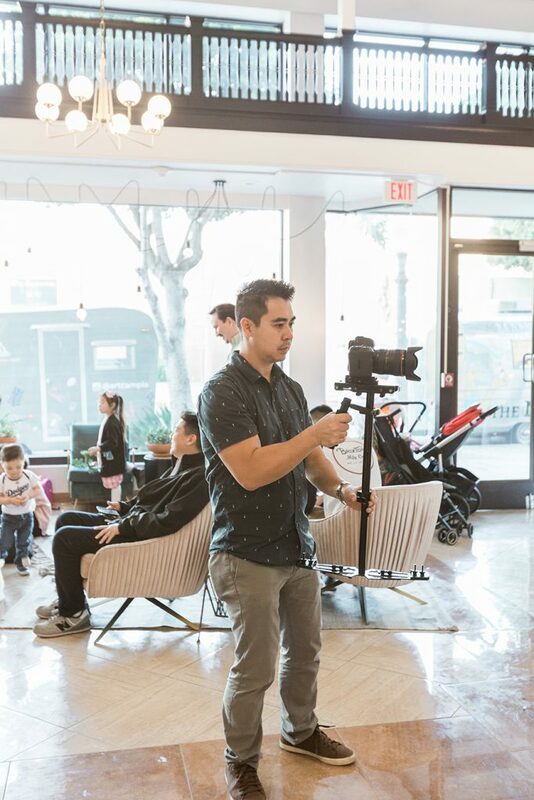 Juice Box Media came and documented everything on video. Watch what they put together below! 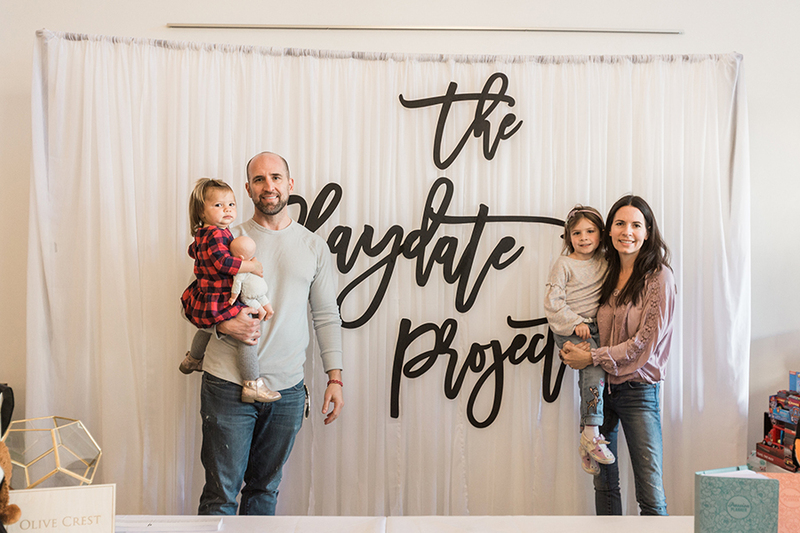 Happily Ever Etched made beautiful laser-cut signs for us including this amazing Playdate Project sign! 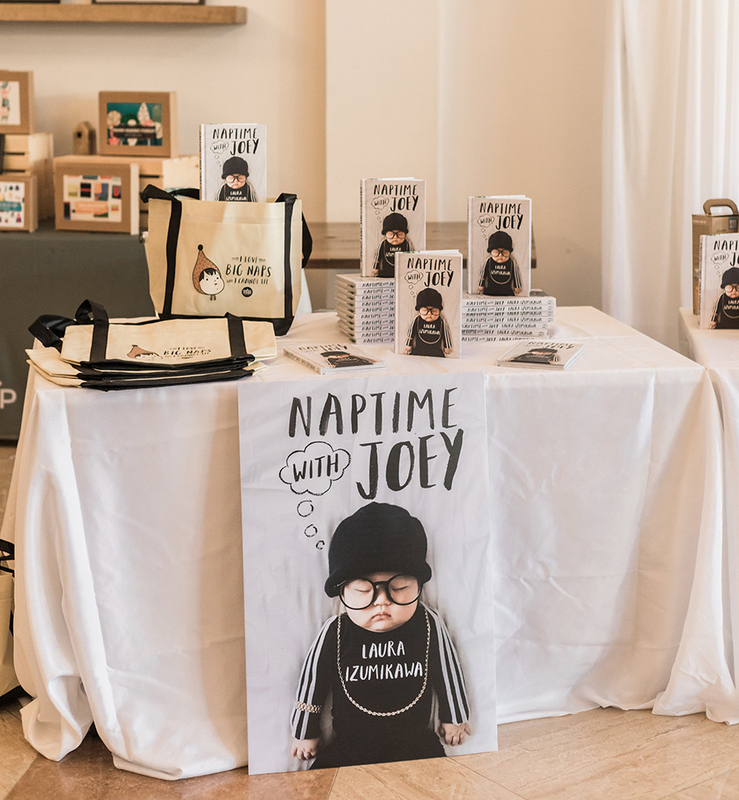 Amy and Hanna set up this awesome nursing and diaper changing room! 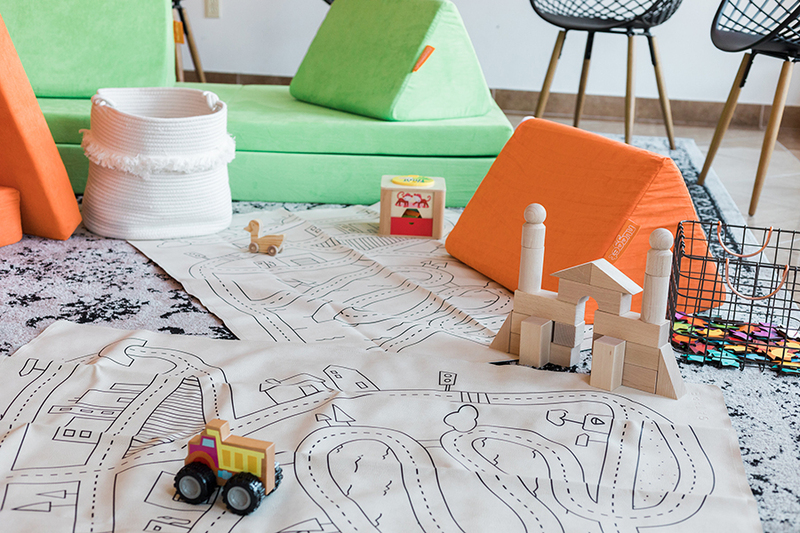 Gathre Mats donated these fun AJJ play mats. 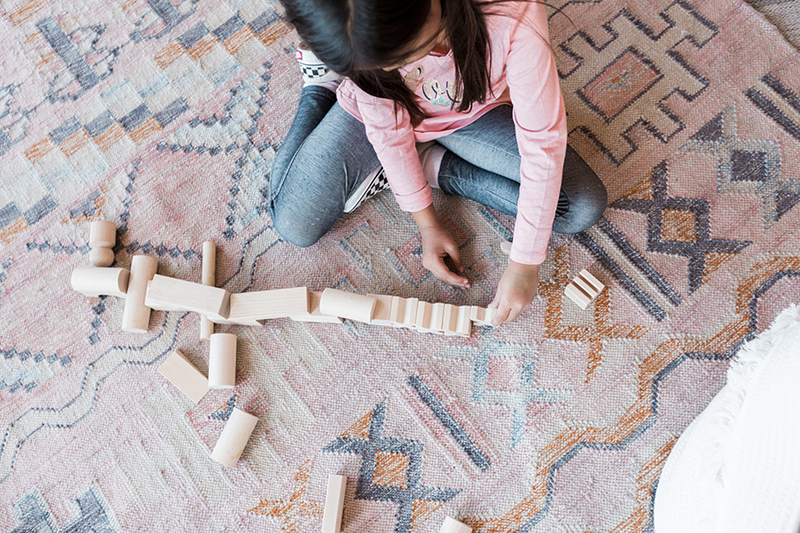 If you’re ever looking mats that will protect your floors from feeding your baby or doing messy crafts or even for picnicking, check them out. 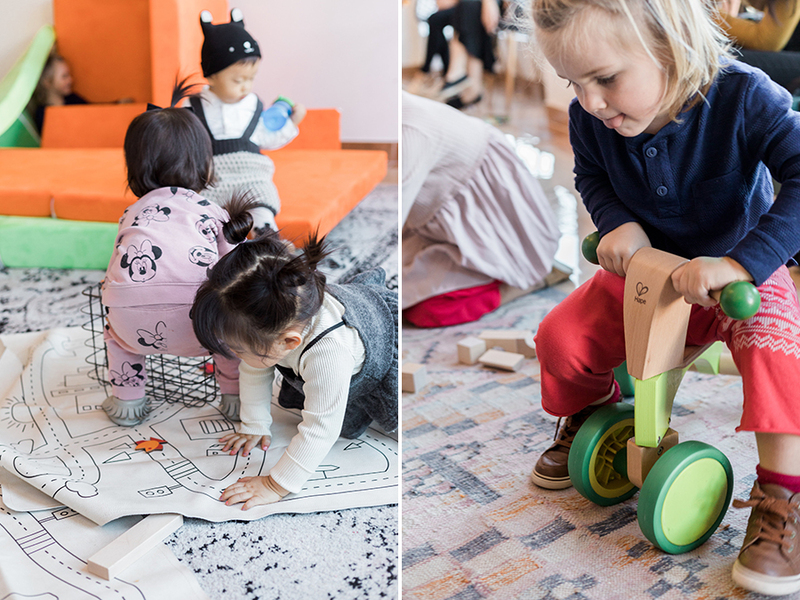 We love their mats! Haba USA also donated to the kids play area some wooden toys. 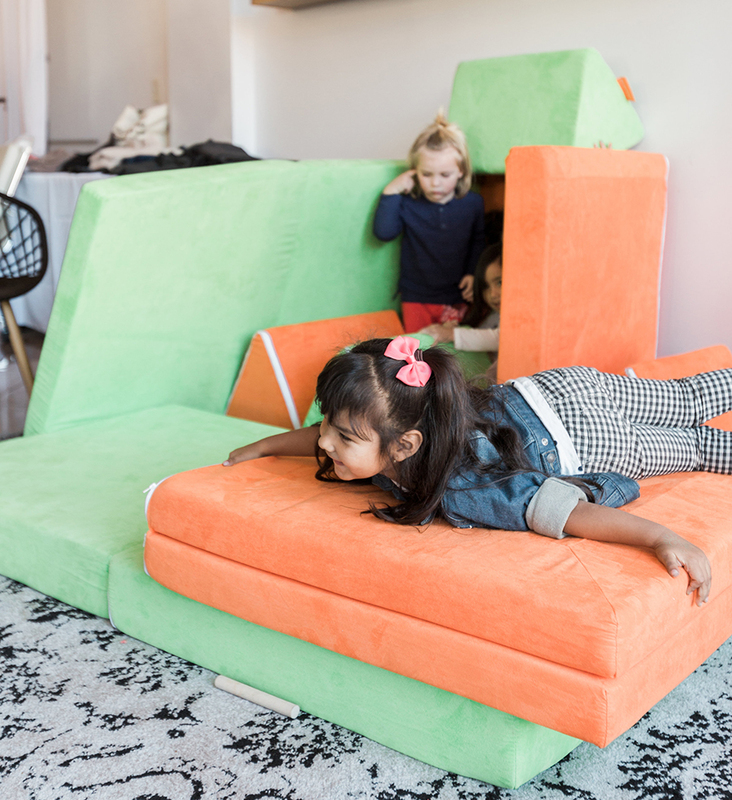 Our favorite Nugget Comfort donated a couple sets of their foam couches and they were a big hit with the kids! 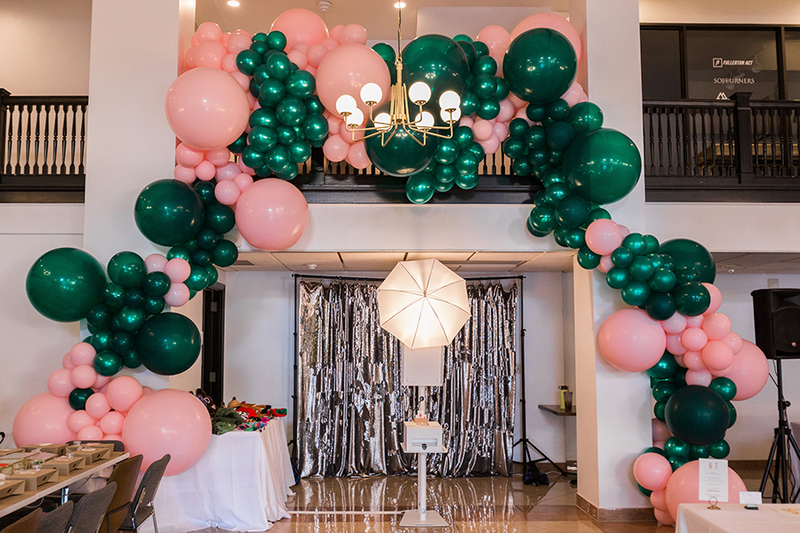 Wild Child Party came and put together this incredible balloon installation. I will never know how they put all those balloons together like that. 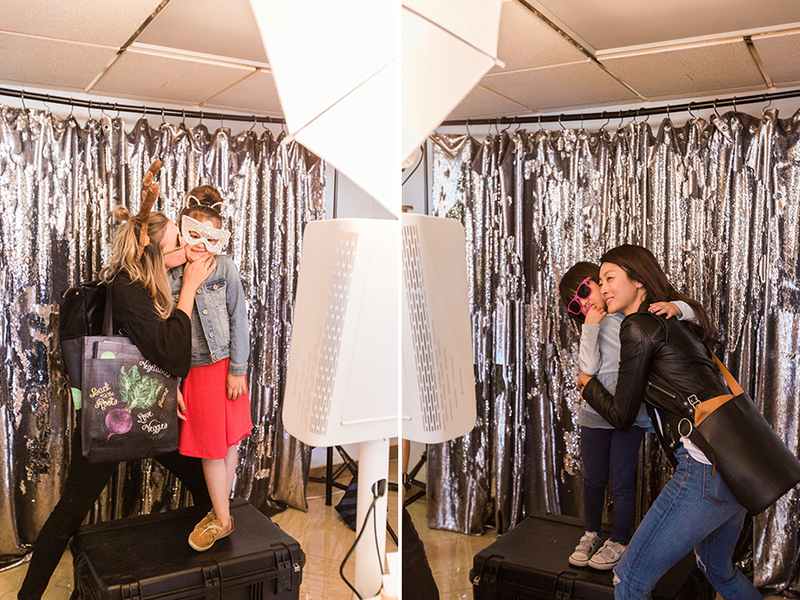 What’s a party without a fun photo booth right? 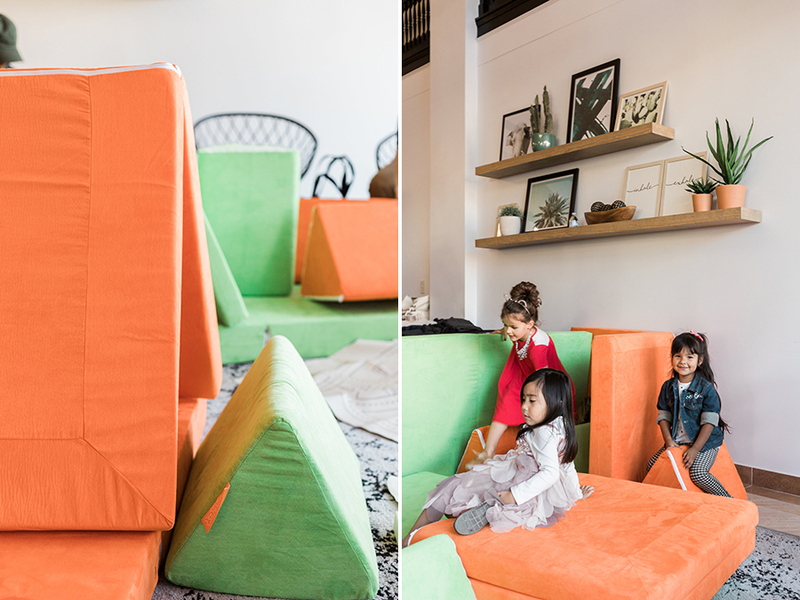 Third Eye Photo booth came and set up a really fun station for all of us. 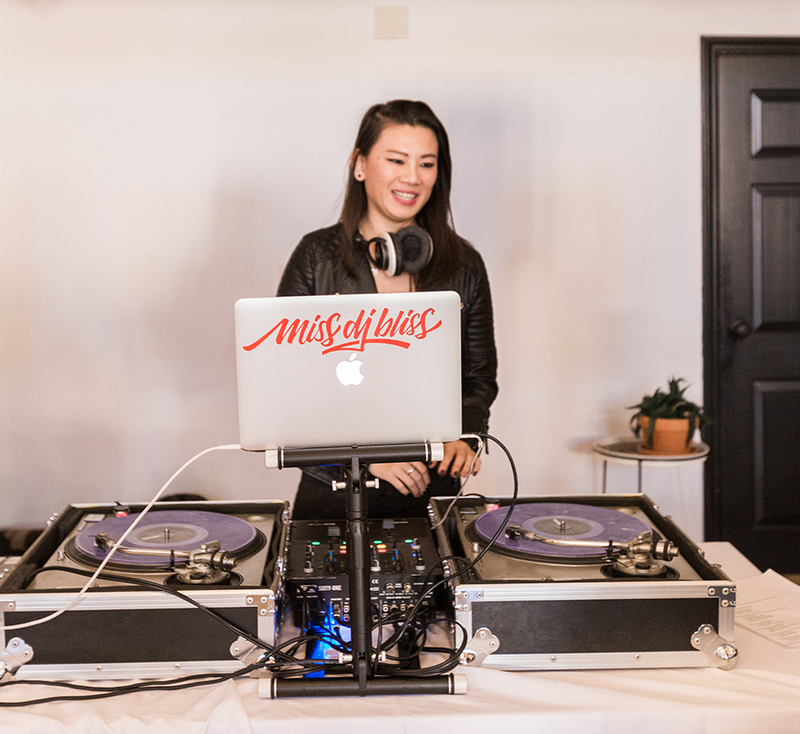 Miss DJ Bliss was there to set the mood with some awesome beats. Can you believe this? 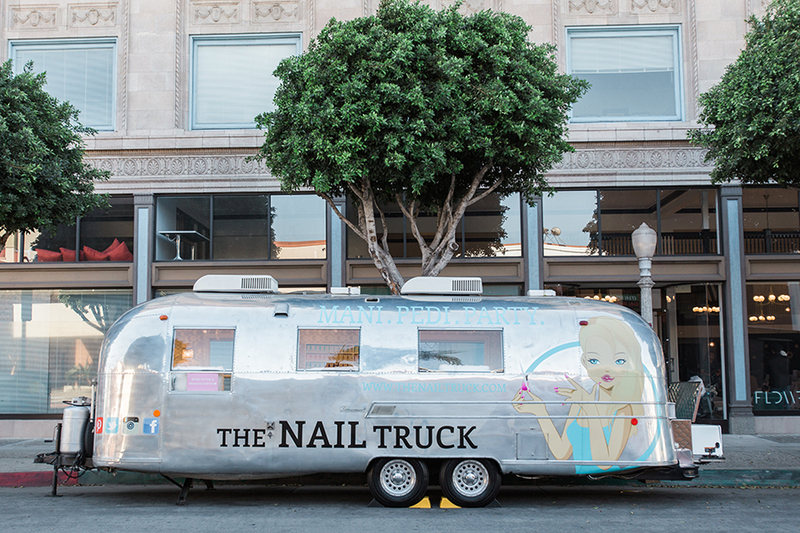 There’s a nail salon on wheels! It was so fun having the Nail Truck. They generously donated to give any willing kid manicures so of course Joey got one. 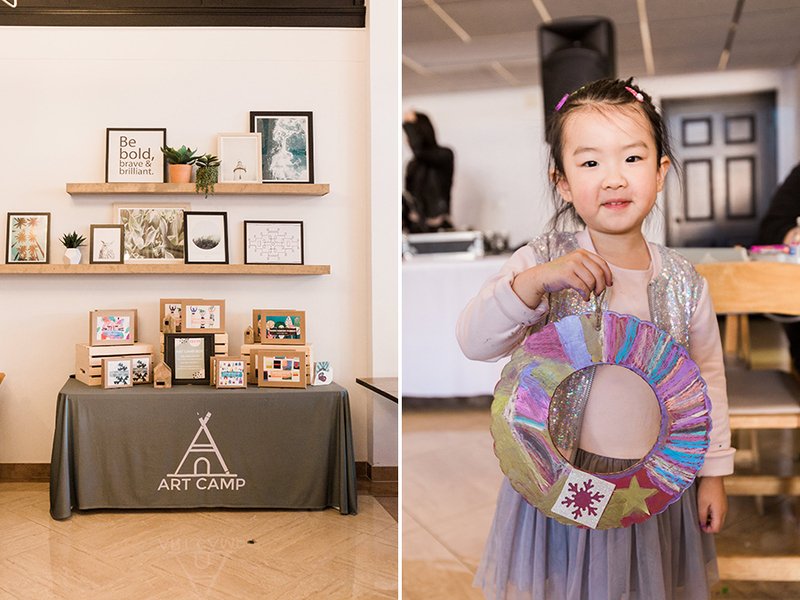 Art Camp LA came and set up a really fun arts & crafts table. 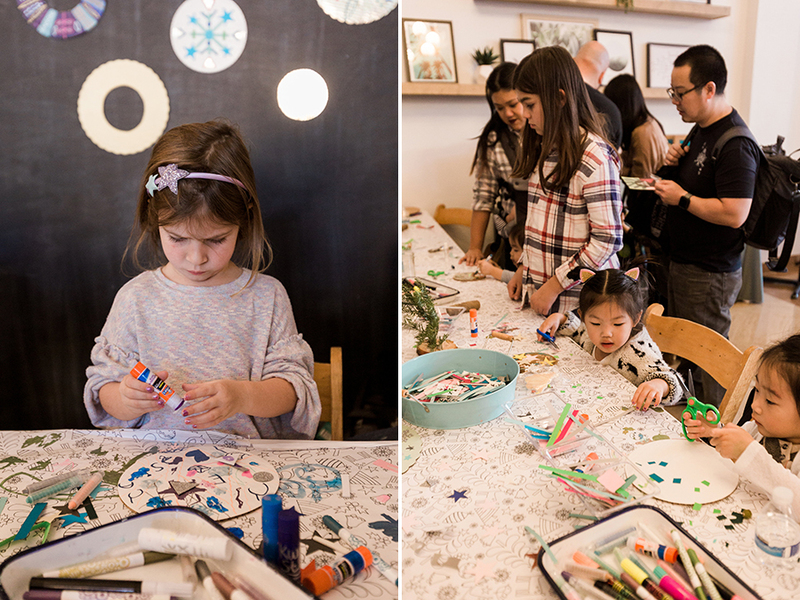 Because it was near the winter holidays, the craft project was creating holiday wreaths! 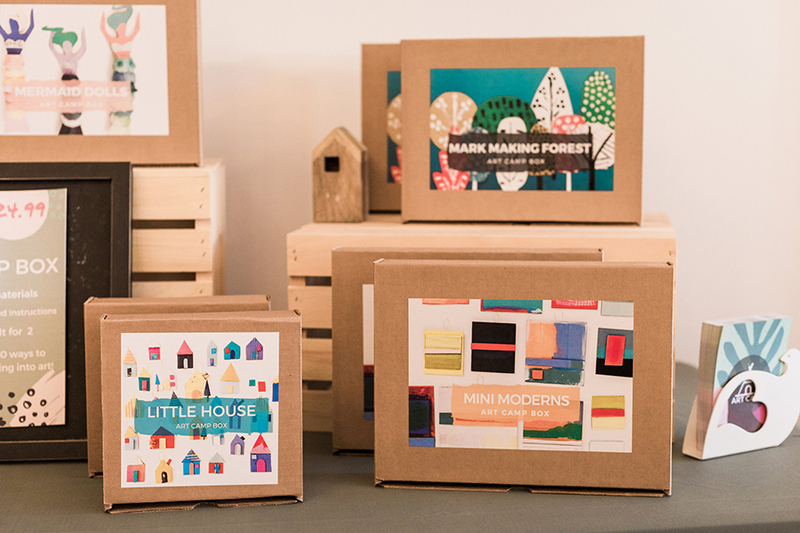 They have these really fun craft boxes that are filled with art project material so you can make crafts at home without having to go buy everything. Go check them out! 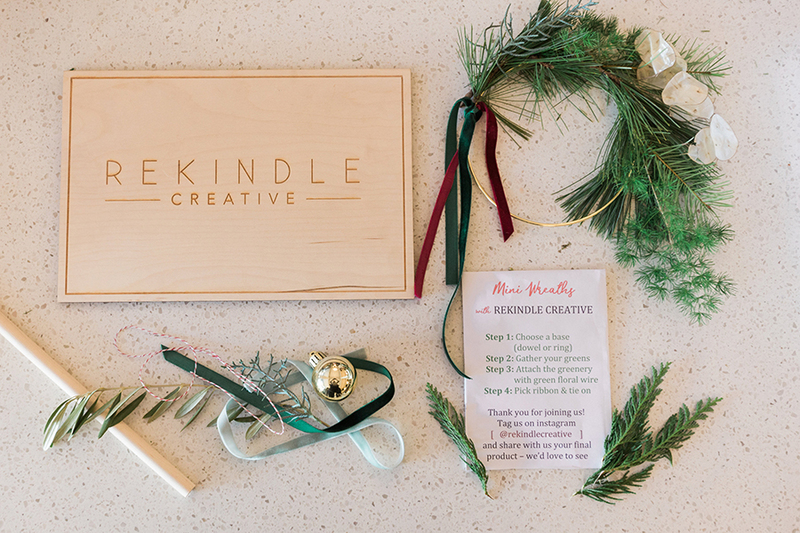 Speaking of wreaths, ReKindle Creative came and set up a wreath making station. 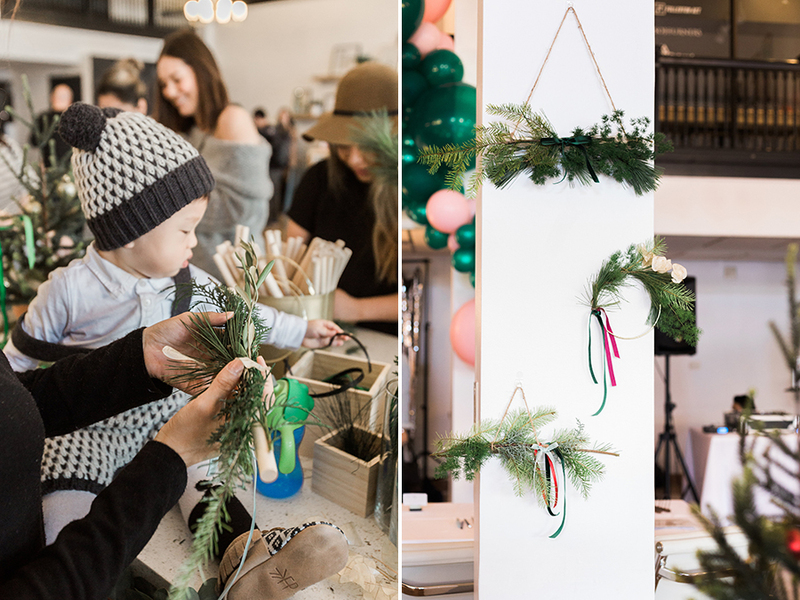 They provided all the greens, ribbons, and hardware to make some beautiful wreaths. It was so fun seeing almost everyone walk home with at least one handmade wreath! 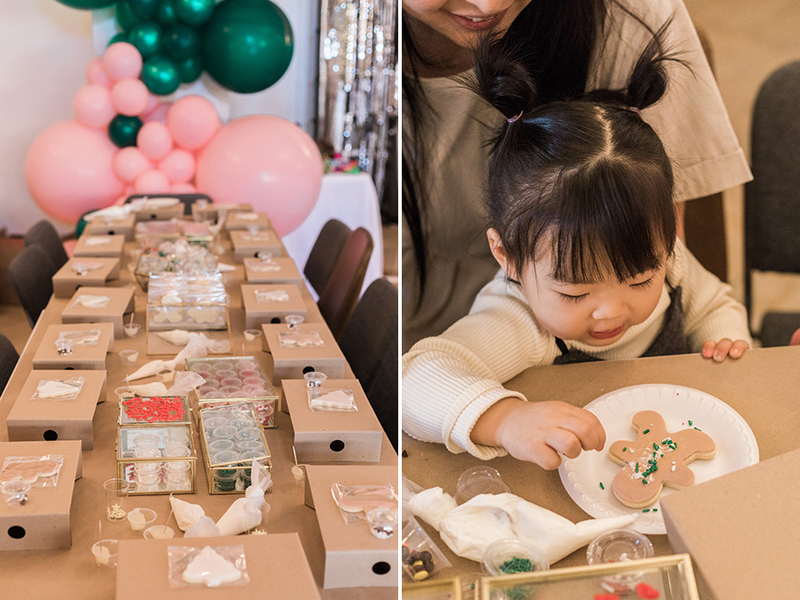 Sweetleemade Desserts brought a whole gorgeous cookie making station and that kept most of the kids busy. 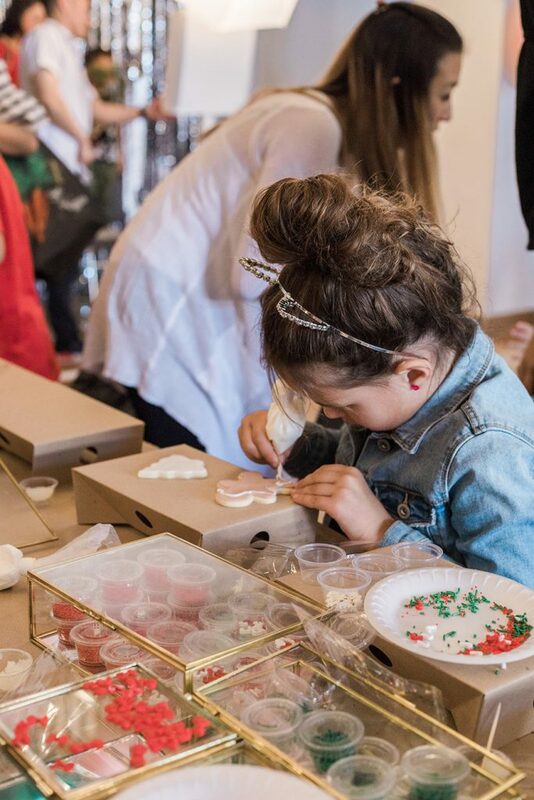 They also made the cutest unicorn cake pops that went into our VIP bags. If you’re in Southern California and are looking for a custom made cake or any type of desserts really for a party, wedding, whatever, do yourself a favor and book Sweetleemade! 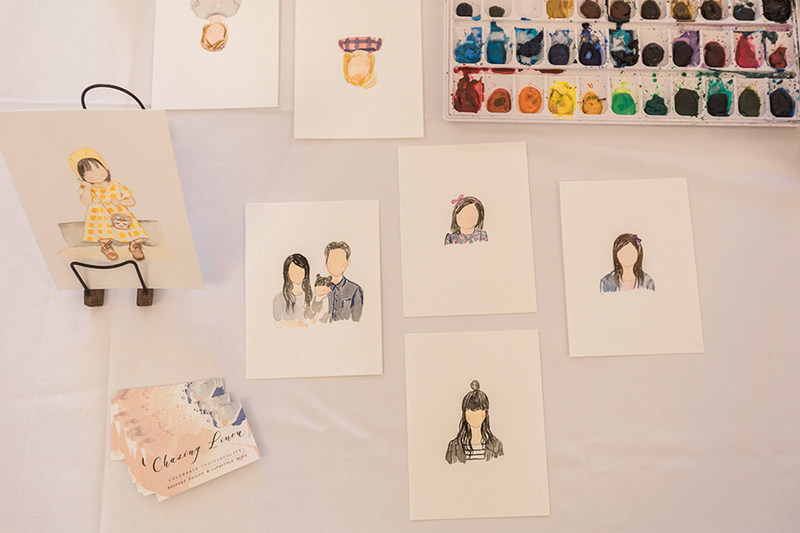 Chasing Linen came and illustrated beautiful custom portraits during the entire event. 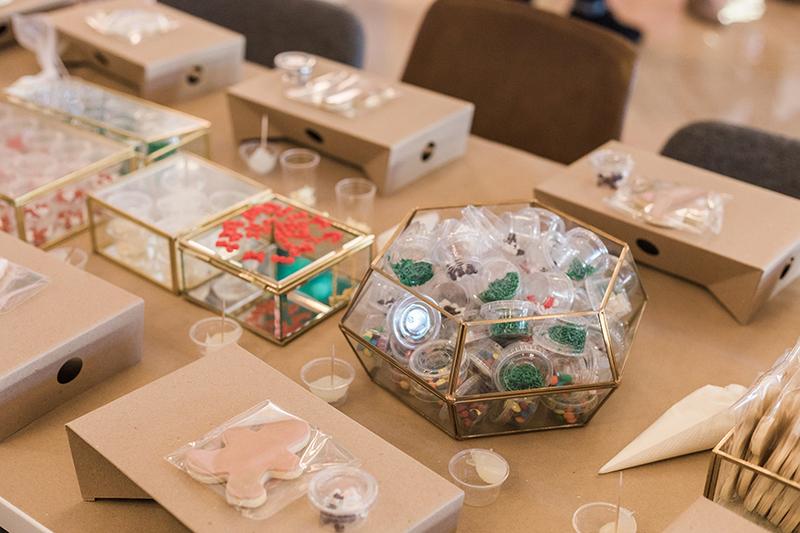 They were the perfect souvenirs to take home! 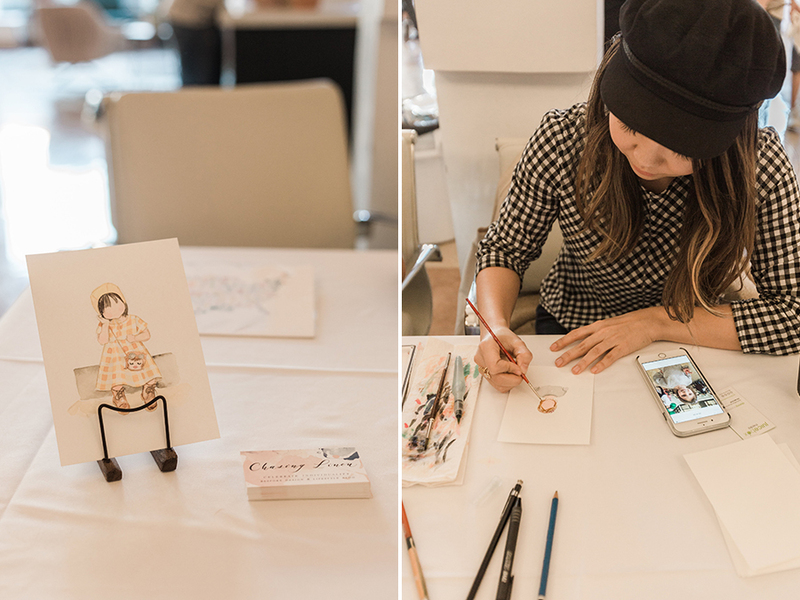 If you’re ever looking for live art, illustrations or custom stationery, check out Chasing Linen! 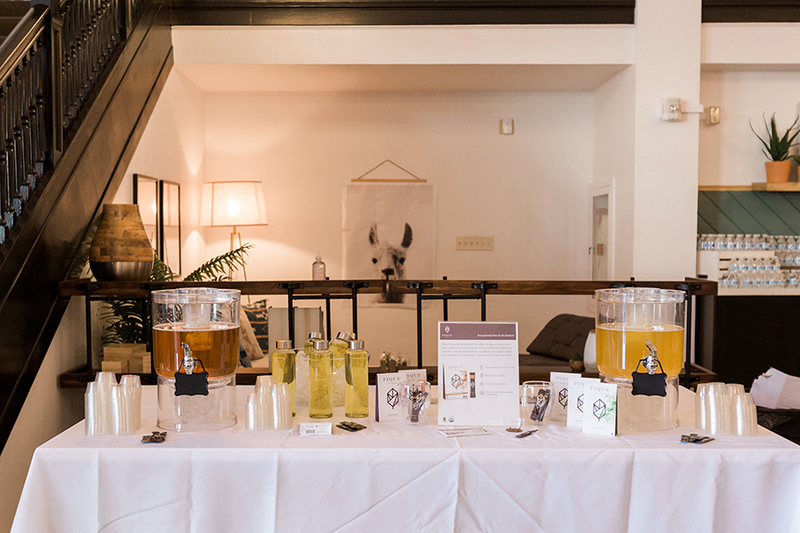 Pique Tea kept us hydrated with a tea tasting station and also handed out delicious take-home tea samples to all of our guests. 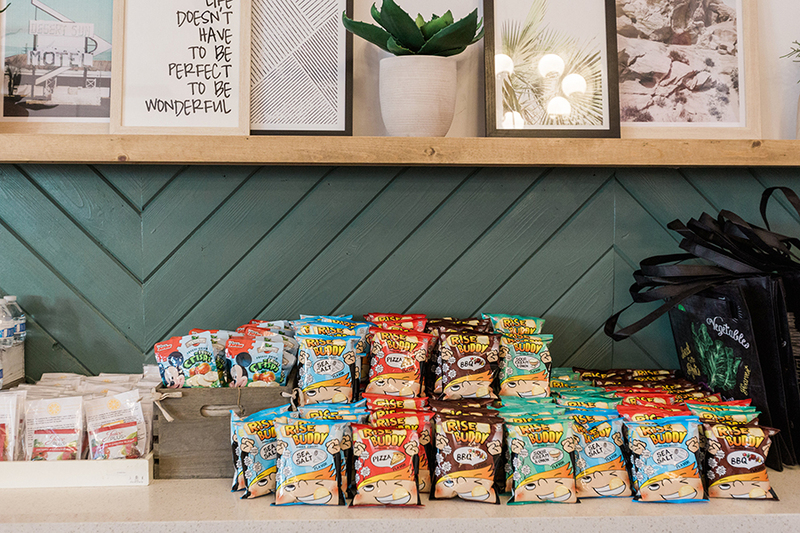 All Brothers Natural donated a bunch of dried fruit crisps for all the children and Rise Buddy also donated bags of rice chips. 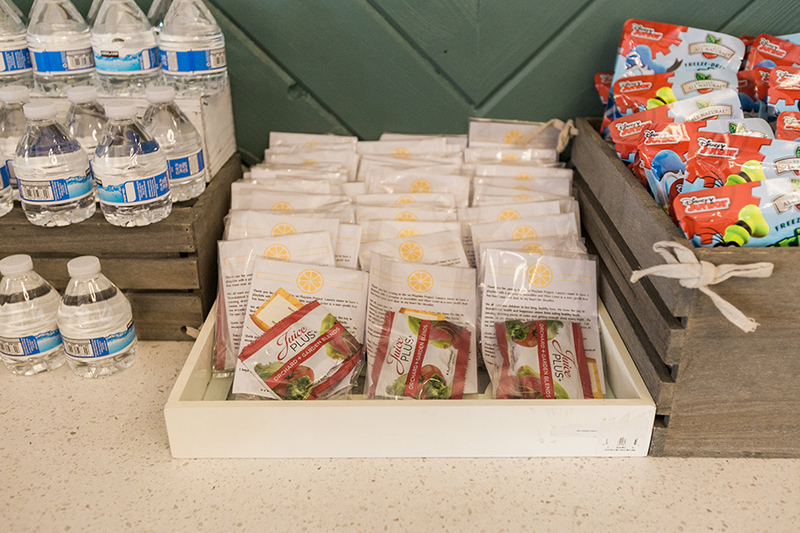 Juice Plus donated yummy and healthy fruit chewable which were Joey’s favorite! 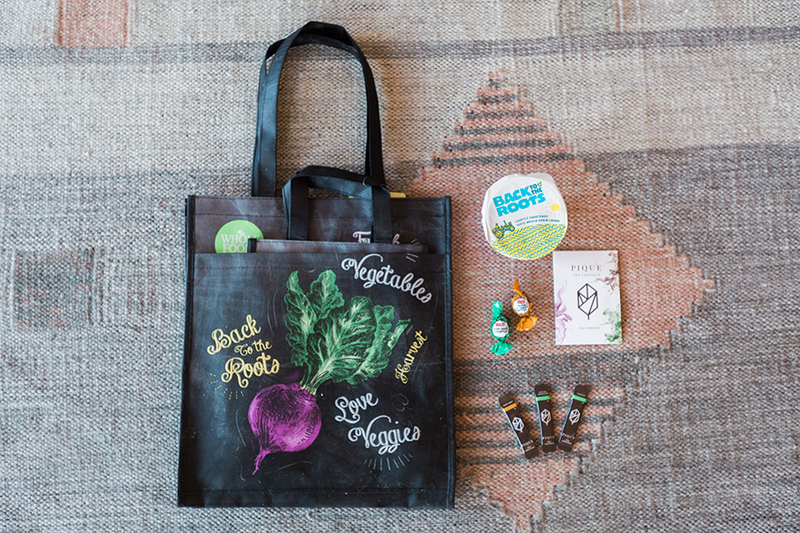 Whole Foods Market San Francisco donated adorable reusable market bags and also connected us with local brands including Alter Eco who donated chocolates and Back to the Roots who donated cereal and really cool gardening kits as raffle prizes. Peanut also part of the swag bag. If you don’t know who Peanut is, check them out. 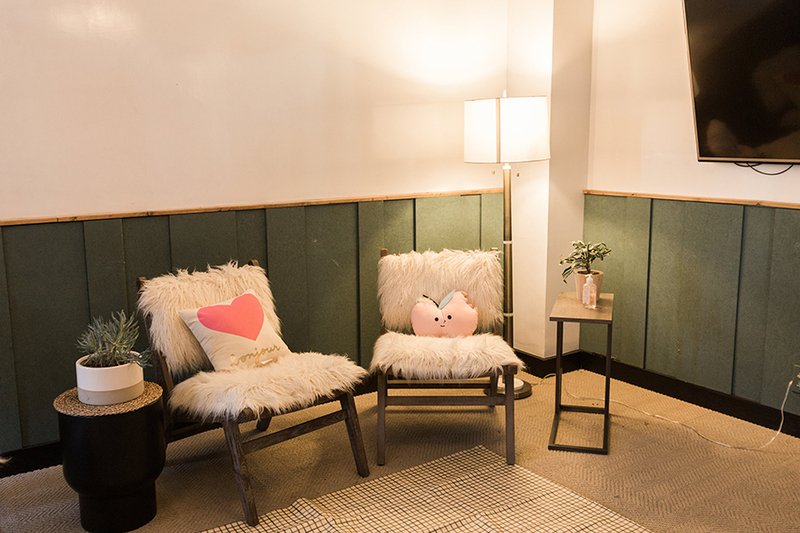 They’re a really cool app for moms that help you connect with other moms in your area based on common interests! 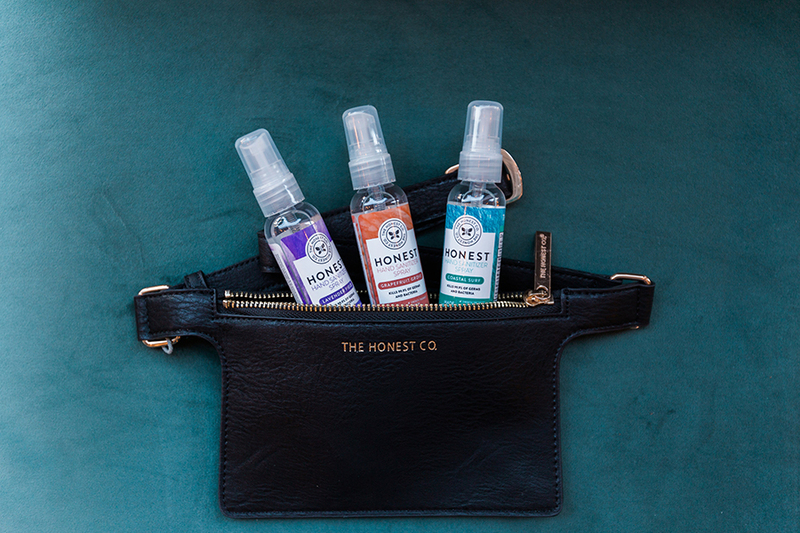 Every mom who came also received an awesome fanny pack filled with hand sanitizers from The Honest Company. 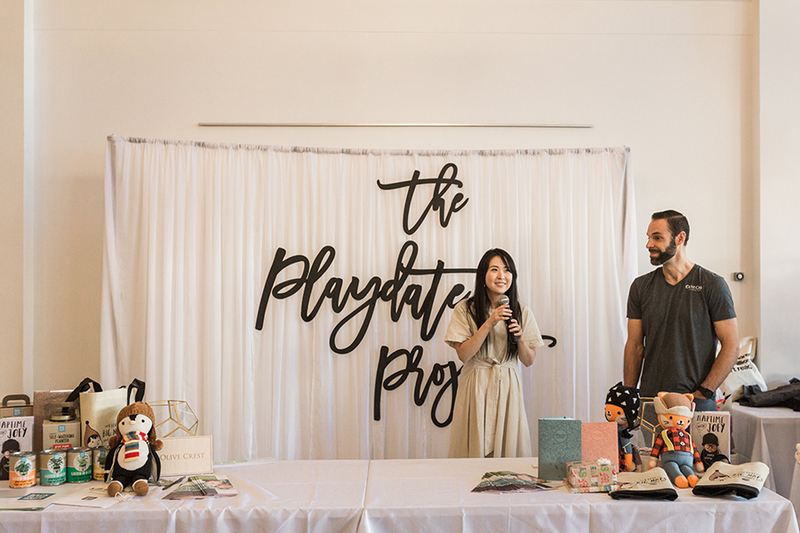 Passion Planner, Sweetlee Made, Art Camp LA, and Chasing Linen were also part of the VIP gift bags. 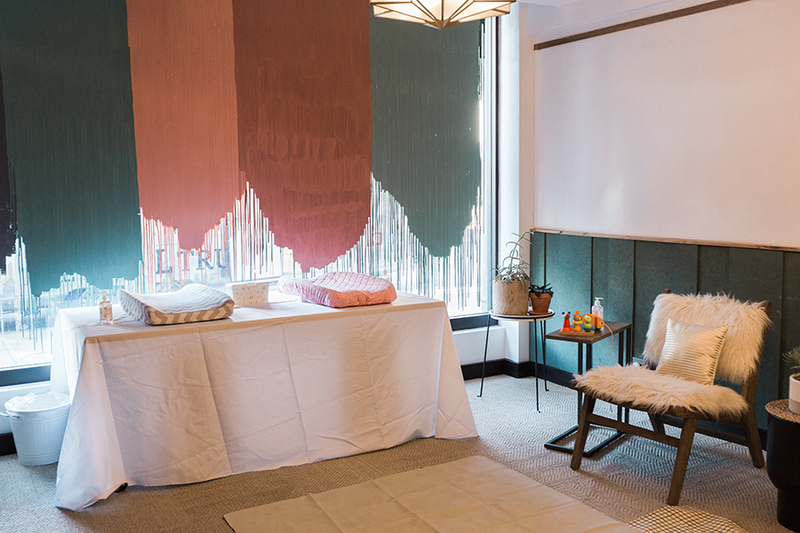 Spa lé La, a spa for parents with complimentary on-site child care gave out a gift certificate to a lucky winner. 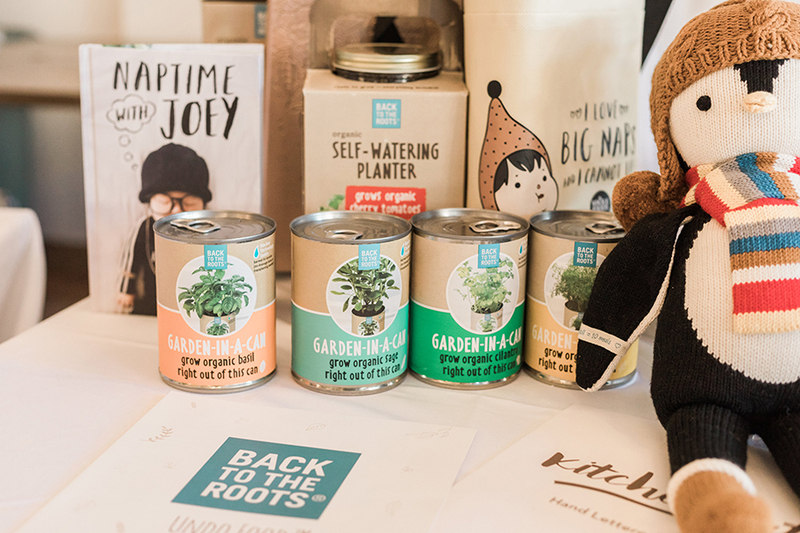 Our favorite dolls, Cuddle + Kind, who is all about giving back donated some adorable dolls for some lucky winners. 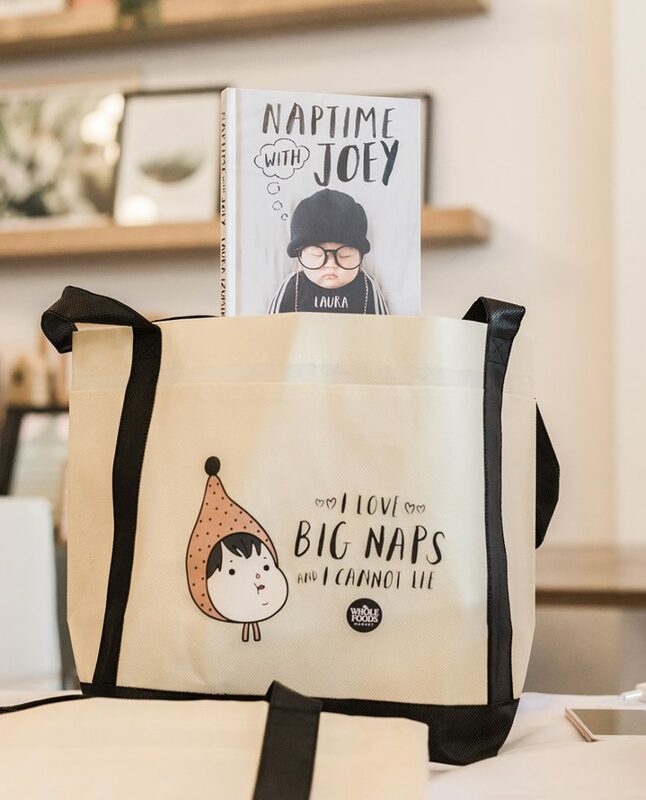 As well as Joey + Tot! Magic Kingdom Mamas came with their adorable kids. They run an awesome blog and Instagram that provides fun tips for families visiting Disneyland Resort in California! 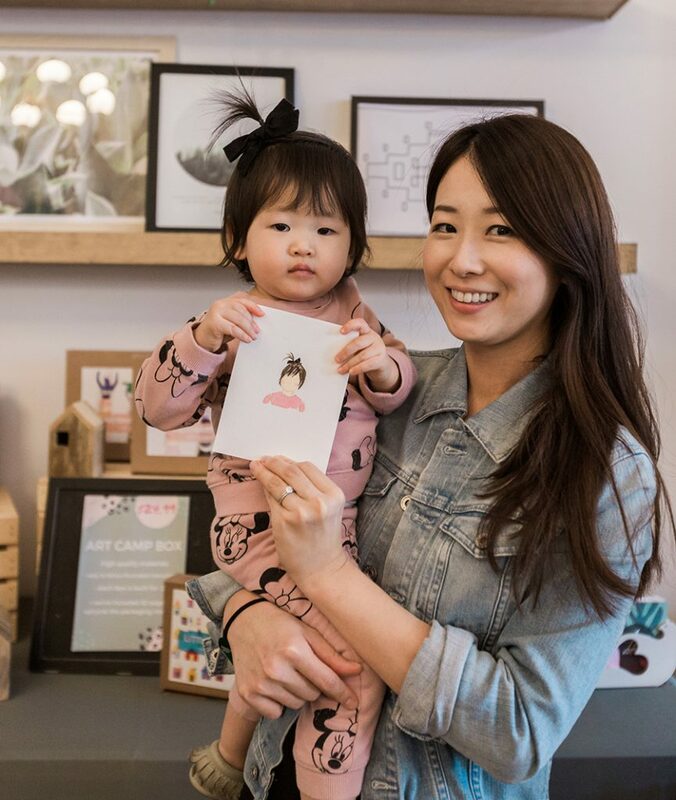 My sweet Guatemalan-Korean friend Sara and her darling Sofia dropped by. Follow Sara on Instagram! My favorite wedding blogger of all time Jen came with her beautiful family. We go way back when I used to be featured on her blog when I used to work as a wedding photographer. 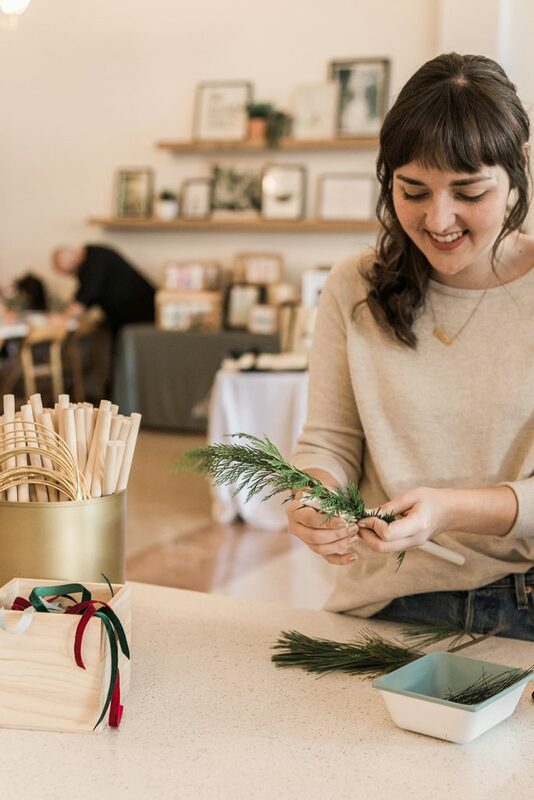 If you’re looking for gorgeous wedding inspiration, GO CHECK OUT HER BLOG. 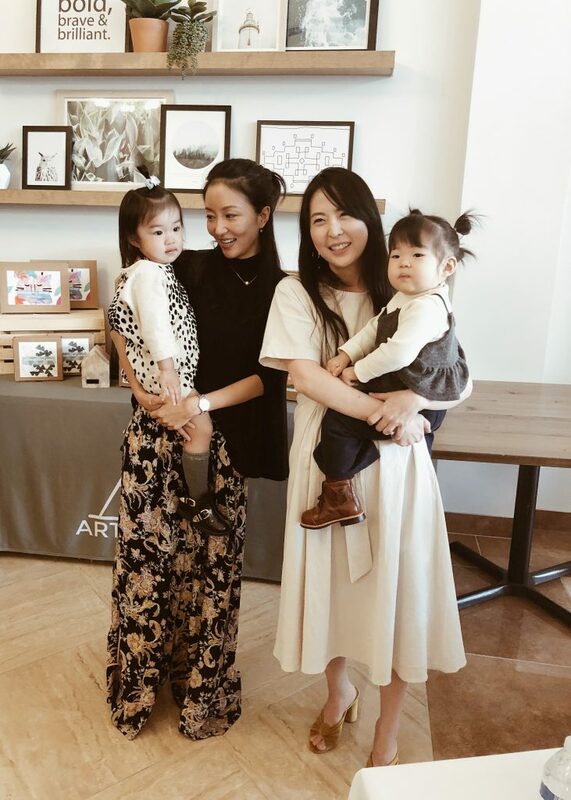 Beautiful Jen Chae came with her adorable family. 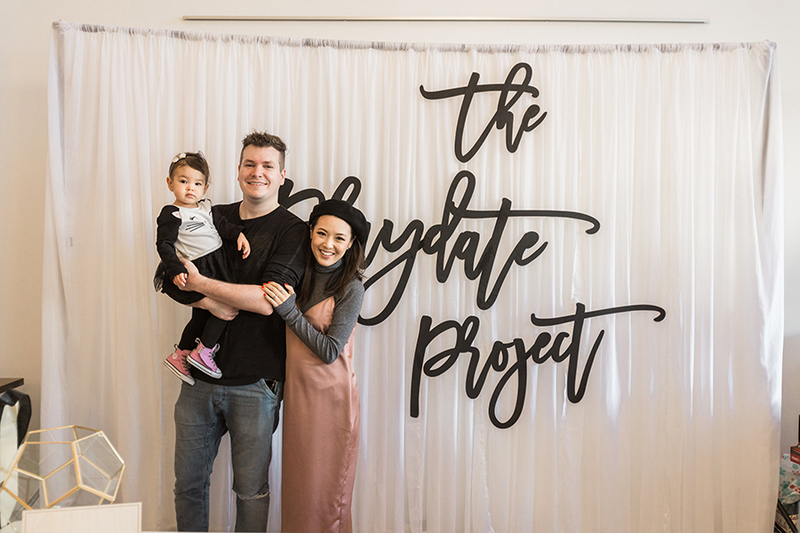 She is beauty/makeup guru and is expecting her 2nd baby! Find her on Instagram and YouTube! I met Lily at a screening for Disney’s Moana a couple years ago and we’ve been friends since. She has the most beautiful family and has the best costume/makeup posts. 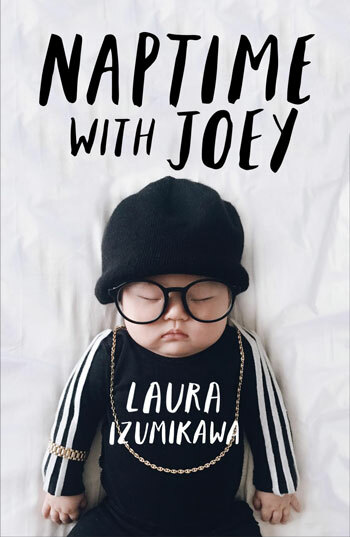 Follow her on Instagram and on her blog! 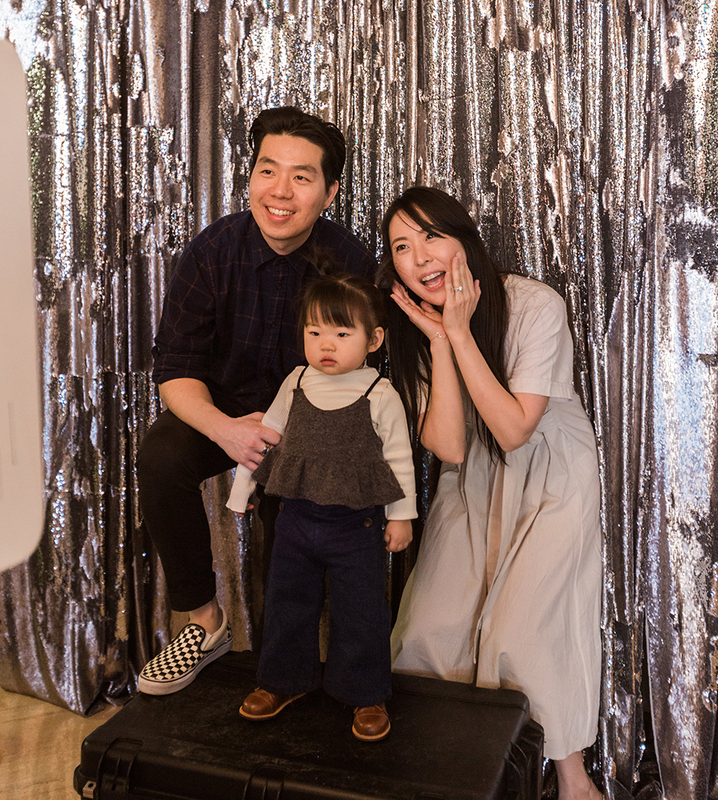 My sweet friend Mai and her darling Zooey showed up in style. 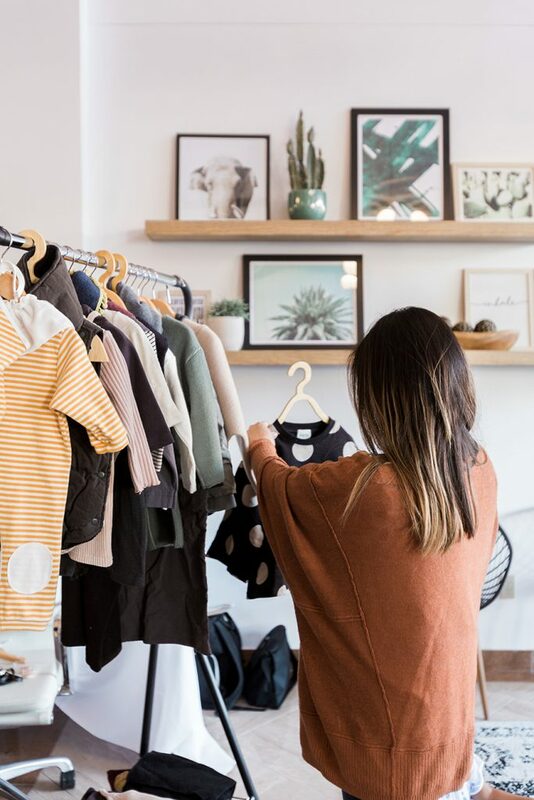 Go check out Zooey on Instagram for fashion inspiration and Mai on Instagram! My friend Yolanda came with her insanely adorable Arielle. 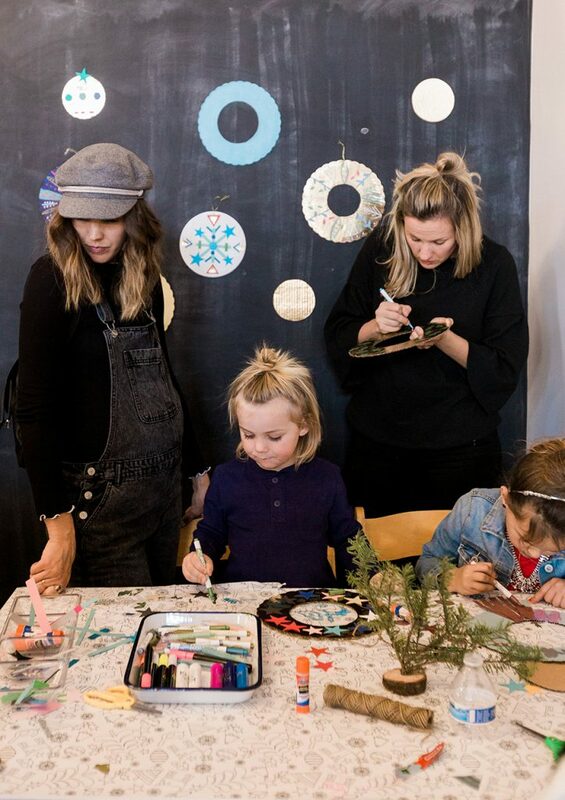 Check out her Instagram to see the best mommy-daughter matching outfits! Last but not least, all of these gorgeous photos were taken by my dear friend Sunny. Do yourself a favor and check out her beautiful work at Instagram and her blog. She is one of the most kindest most generous friend I know. 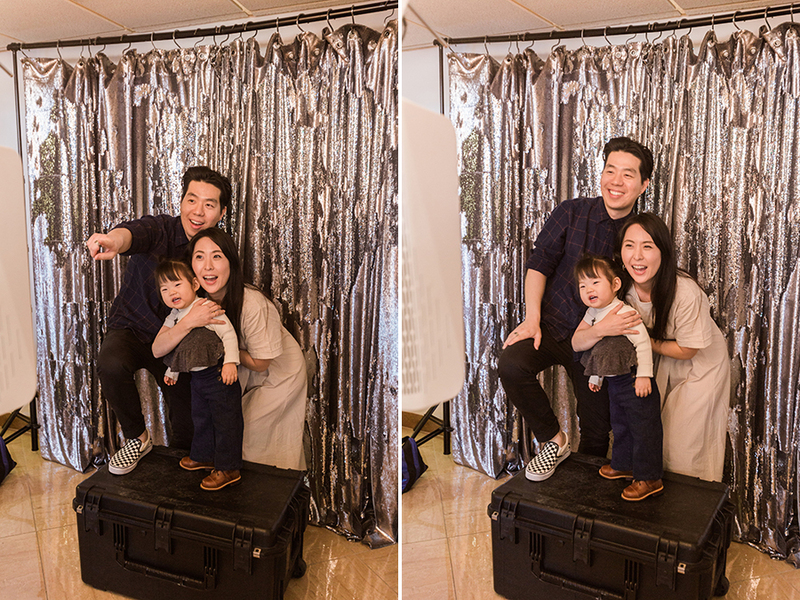 Thank you so much Sunny for taking the time to take these lovely photos right after Greyson was born!! 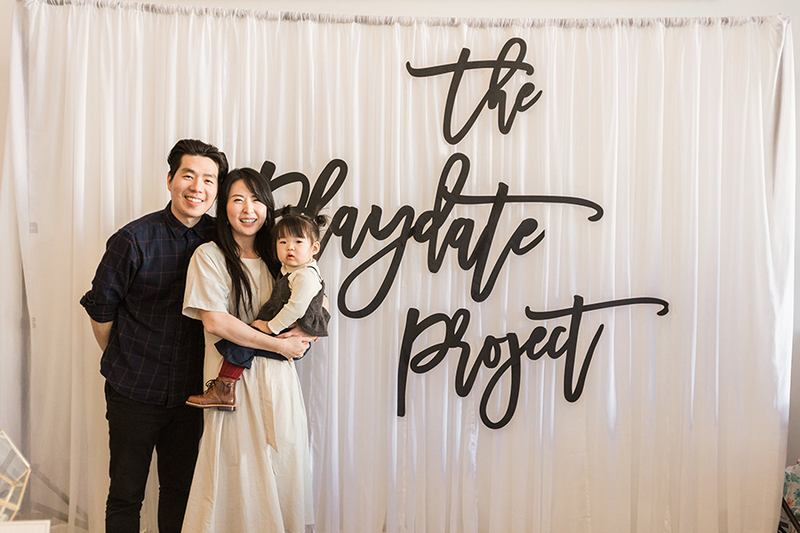 We’re forever grateful for all of the people who donated their time, money, services and goods to making this first Playdate Project happen. Thank to all of our guests who made it that day. 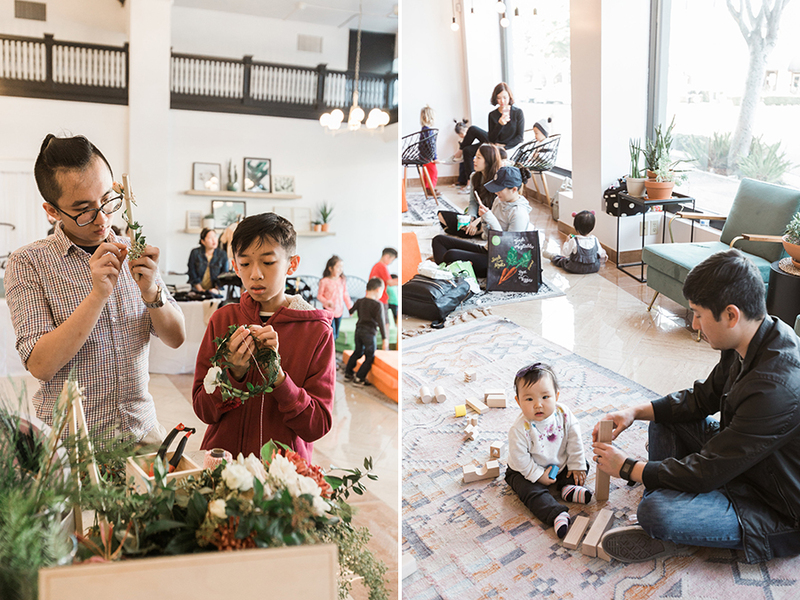 We really hope you got to make some fun family memories as well as share in part of “giving back” to Olive Crest. 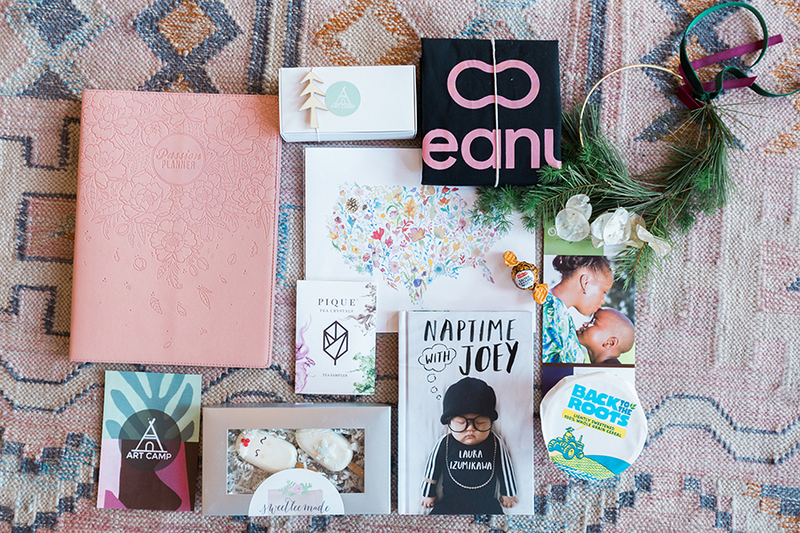 Our family really feels like we did nothing in comparison to everyone’s generosity. 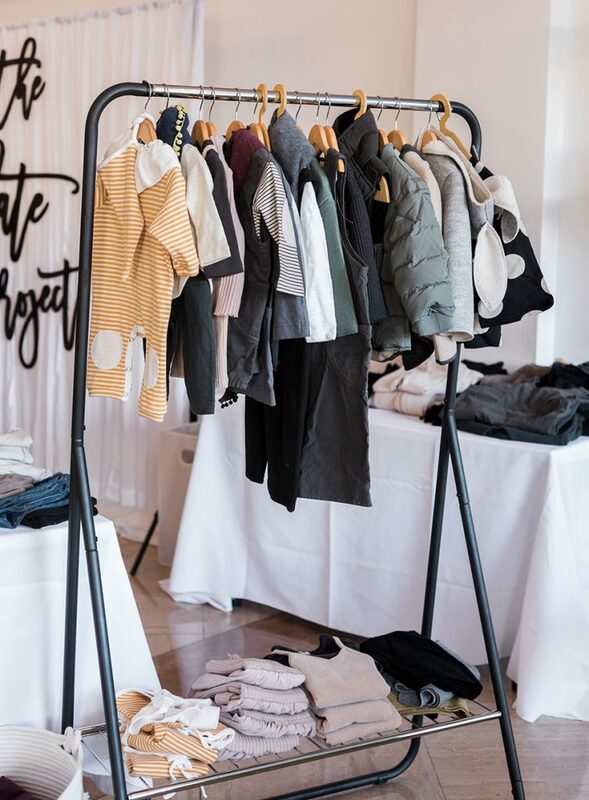 We feel very strongly that we were given this platform to share love and also to give back to our community and so we will try our best to do more of these events. 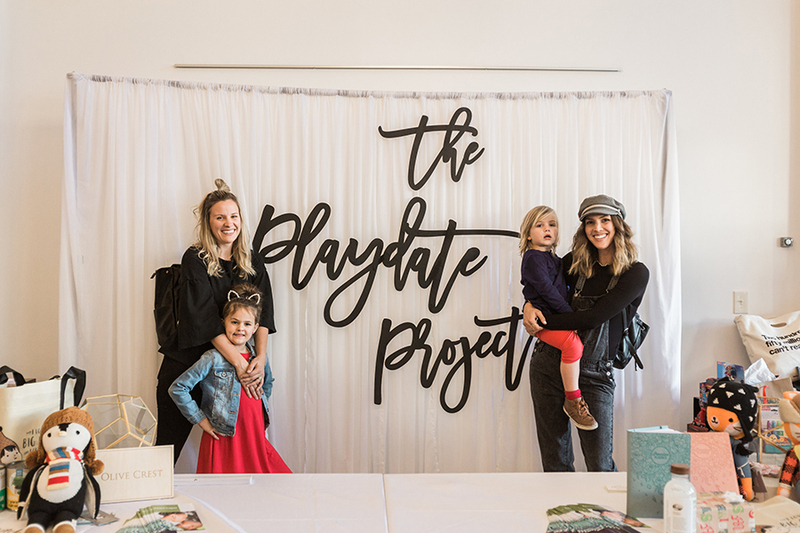 We hope The Playdate Project will happen every year for a very long time so we can continue to highlight many more organizations that are positively impacting our local communities. 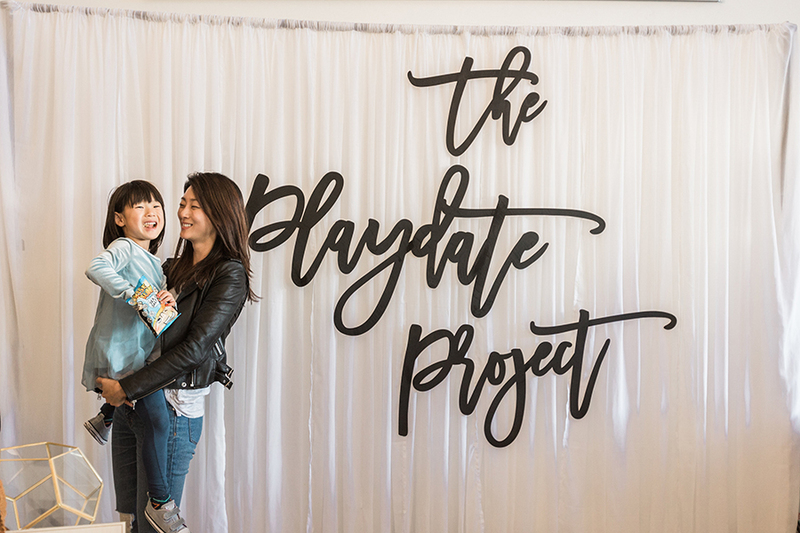 If you are interested in collaborating for our next Playdate Project as a donor/vendor, please email us at hello[at]lauraiz.com! Let’s chat!